One of our recent mission trippers, Luis Mujia, collected school supplies and books for the children in Mexico as part of his Eagle Scout project. 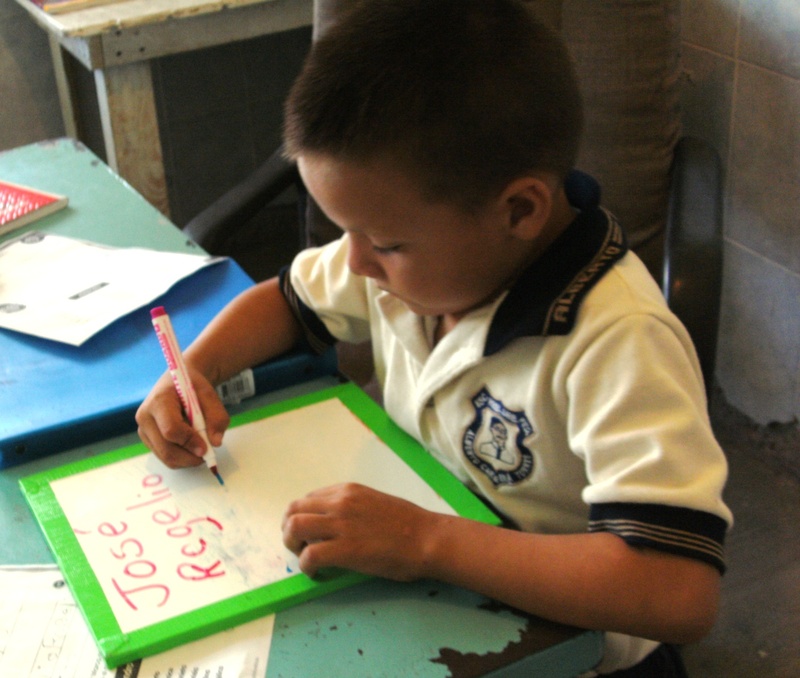 The donations were delivered recently to schools in Las Higuerillas. The primary school had the most students. With the help of teachers and parents, the school supplies were distributed by grade level. Over 500 bags were prepared by teachers and friends in Valle Hermoso. CUPS was also able to deliver 92 bags with supplies for the Las Higuerillas kindergarten. The director of the primary school, Noe, thanked CUPS and its supporters for the thoughtful project. In addition, Louise learned of a young boy with 2 and 3rd degree burns caused by the use of charcoal and wood to try and keep warm. CUPS was able to purchase medicine for this young boy. Even if your church is not planning to sponsor a CUPS mission trip this year, you can still bring God's mercy and love to those in need with your helping hands, working together to improve a community giving them hope for their future. How?... Participate in a CUPS Unified Mission Team to the Rio Grande Valley or Mexico or participate in a Virtual Mission Team to Mexico this year. May 15, 2011 - Unified Mission Team - Mexico. This is a regular work group that will travel to Mexico, working on a community based construction project to help a school. Both new and former volunteers without a sponsoring church may participate. Cost $200 for project costs plus estimated $300 travel costs. You can sign up on the CUPS web site, CUPSMission.org. For more information click here. June 19, 2011 - Unified Mission Team - Rio Grande Valley. This team will travel to the Rio Grande Valley to work on special projects. Cost $200 (individual) or $400 (family) plus estimated travel costs of $300 per person. You can sign up on the CUPS web site CUPSMission.org. For more information click here. May 22, 2011 - Virtual Team - Mexico. This concept allows individuals or groups of individuals who are unable to travel to Mexico as a part of a traditional workgroup but who want to help a Mexico community. Communication between Virtual participants and Mexican community volunteers will occur on the Internet with daily updates and photos. A minimum fee of $50 per virtual volunteer will help support CUPS work on the designated project. You can sign up on the CUPS web site, CUPSMission.org. For more information click here. What will you do on a Unified Mission Team or a Virtual Team? The Unified Mission Teams bring together individuals committed to work in Christian fellowship with communities with identified needs; helping children, enabling the handicapped, improving the housing of the humble, and getting food to families in need. The Virtual Mission Team simulates the experience of going to Mexico with group activities such as going to dinner one night or sending messages of encouragement to those working on the project in Mexico or daily prayer at the same time by all team members for safety and fellowship for their Mexican teammate counterparts. Creativity is the name of the game here! Carrera Primary School in Valle Hermoso, Mexico, asks CUPS to help build a room for their library and hoped-for computers. The building now housing the library is in terrible condition. The 130 students and 8 teachers in the urban, afternoon educational facility badly need a room that is secure and dry. The Guerrero Primary School located 30 minutes west of Valle Hermoso, Mexico does not have a kitchen and dining area for their 45 students. They cannot benefit from the Scholars Meal Program administered by the City Social Services Department. Parents in the community are eager to help and already have 400 blocks to help with construction. Families in Hidalgo County Texas colonias work together providing their own volunteer hours on much needed repairs on their homes. CUPS volunteers will assist these families to have a dry, secure, and safe home. 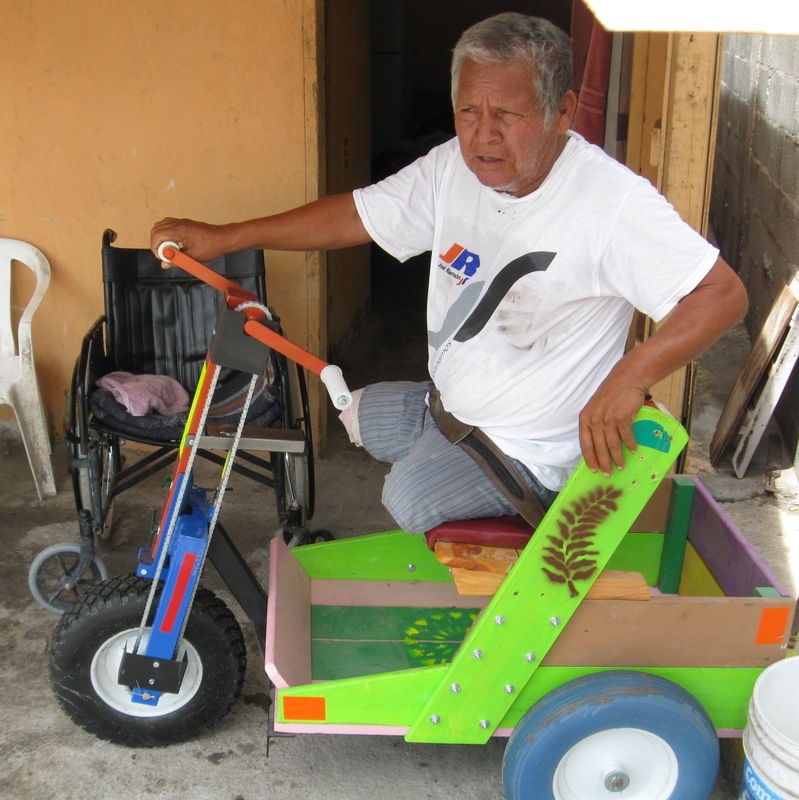 Personal Energy Transportation (PET) units provide mobility impaired individuals with transportation, independence, and economic opportunity in order to support themselves and their families. 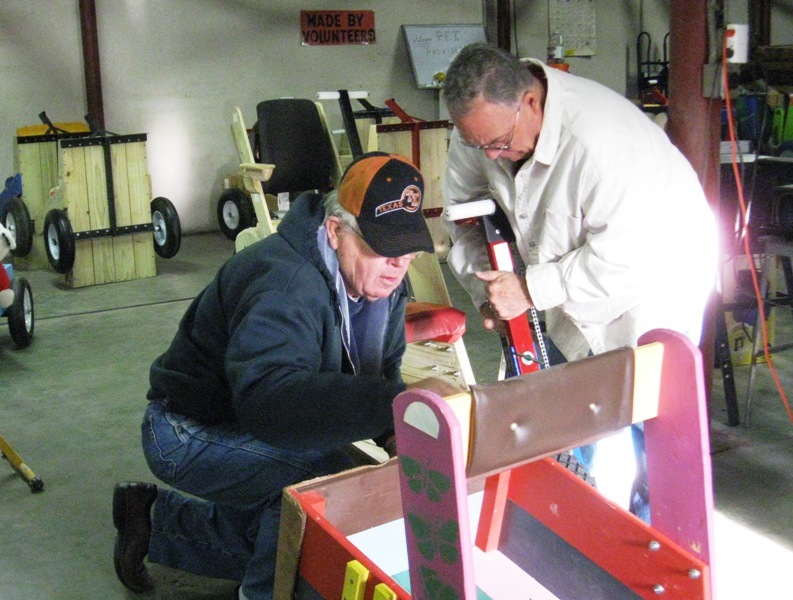 These "carritos" will be built and painted by CUPS volunteers in PET's Mission, Texas warehouse and then delivered by CUPS to qualified Mexican individuals. Hunger needs of families in a four-county area require many hands at the Food Bank of the Rio Grande Valley. Volunteers of all ages can make a difference. Where? Unified Mission Team members may choose to work in the Rio Grande Valley or Mexico. Why? Our Lord's great commandment is that we love one another just as the Lord loves us. Following this great commandment, participation in a Unified Mission Team or a Virtual Mission Team is an act of Christian love, a love that does not see boundaries or borders.